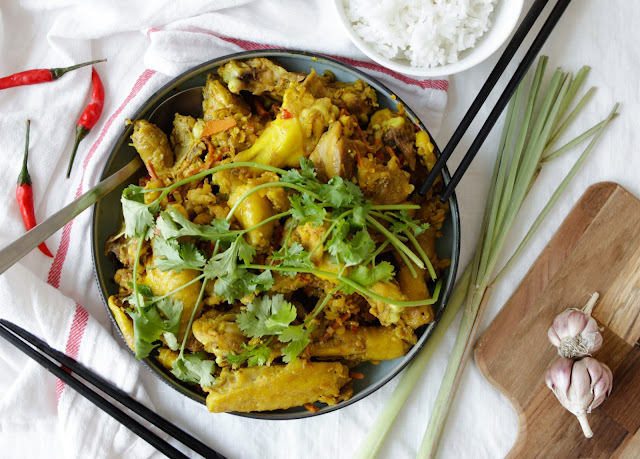 This Vietnamese lemongrass, turmeric & chilli chicken dish is another one of my mum’s recipes that I grew up eating. It’s quick and simple to make and you can easily marinade the chicken ahead of time or freeze them into portions to prepare for a meal later in the week. Once thawed it takes about 20 minutes to cook, making this a great option to plan for dinner during the week. 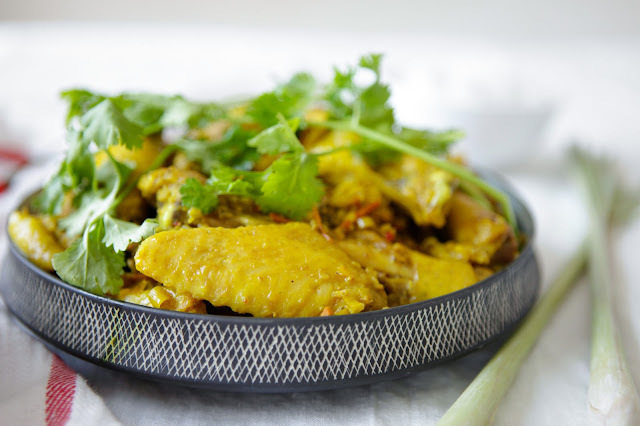 Lemongrass and Turmeric are excellent herbs to include regularly for their anti-inflammatory, anti-cancer properties and are often used in herbal remedies for different ailments. 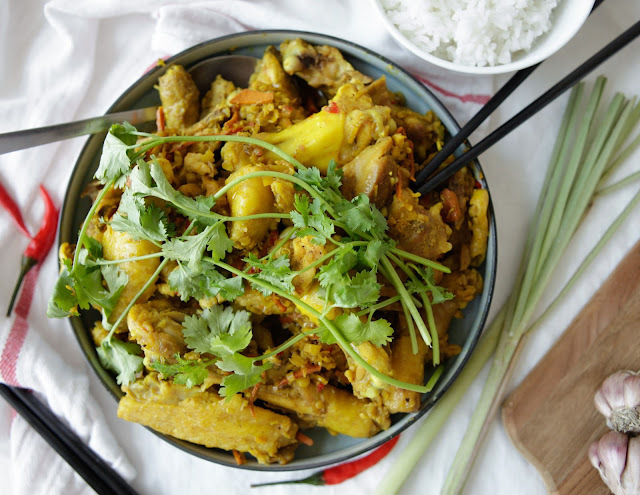 They are a great source of various minerals and vitamins and taste fantastic paired together, this dish is traditionally cooked in a clay pot but any saucepan works fine (for a stir fry version check out the recipe here or try the same combination tea recipe here). 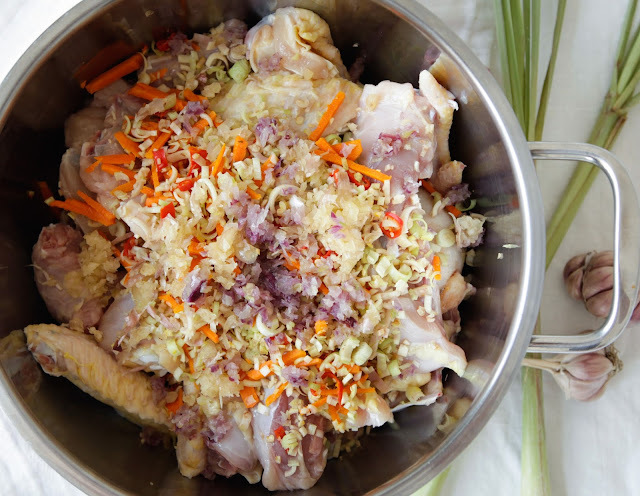 I used a whole chicken bone in cut into small pieces for this recipe as boneless chicken thighs are not readily available over here in Vietnam. We also like to use the whole animal so if you have organ parts, feel free to add them in also. If you choose to use the whole chicken bone in, start by cutting your chicken into 8 pieces (drumstick, thigh, wing, breast separated), then using a cleaver chop into smaller pieces. You can use boneless thigh fillets if preferred. We occasionally have white rice and this is the perfect dish to serve it with. If you cannot eat rice, try cauliflower rice or with steam greens or sauteed Asian greens.